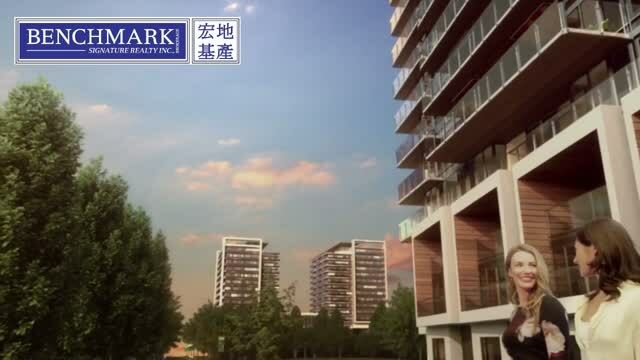 Concord Saisons condos is a new condo development by Concord Adex currently in pre-construction located at Sheppard Ave E & McMahon Dr, North York, City of Toronto. Concord Saisons is next phase of 45-acre Park Place true master-planned community with 20 multi-tower high rise complex currently under construction between Sheppard Avenue, Leslie Street, Highway 401, and Bessarion Road. What Saisons Condos has that no other community development in Toronto has to offer and its the grand jewel of this remarkable re-development is the 8 acre Grand Central Park that in summer time it will showcase a grand Water Feature, in winter a Skating Rink. Concord Park Place will be home to 5,000 units and home to 7,000 residents when complete in 20 buildings high-rise and mid-rise. Saisons condos is part of Park Place true master-planned community between Sheppard Avenue, Leslie Street, Highway 401, and Bessarion Road In North York. Its very close to Bayview Village Tennis Club, the North York YMCA, Gibson House Museum, Aga Khan Museum, Black Creek Pioneer Village, Toronto Centre for the Arts, Don Valley Golf Course, the Oakdale Golf & Country Club. Shopping options located in and around the community include Yorkdale Shopping Centre, Bayview Village Shopping Centre, and the Downsview Park Merchant Market. The project aims to build a fully-equipped, walkable enclave that serves as a lasting legacy for residents and the community as a whole. To achieve this, Concord Park Place has an impressive roster of amenities planned. The eight-acre Grand Central Park will be the heart of the community, a lush gathering space that will include a skating rink, children’s play area and a water feature. Tree-lined pedestrian promenades will wind their way through the park, connecting with the residential towers and townhomes. A school, community centre, daycare facilities and retail shops – including a supermarket – are in the works for the site, giving residents everything they need on a day-to-day basis. The residential buildings of Concord Park Place feature elegant architecture with a delicate leaf-motif façade. Two high-rises are planned, each reaching approximately 36 storeys. Units will mostly consist of one and two-bedroom suites, with dimensions ranging from 500 square feet to approximately 1,000. A selection of villa-style townhomes will also be available, including two-bedroom-plus-den and three-bedroom-plus-den layouts, each up to approximately 2,000 square feet. All suites come with floor-to-ceiling-windows, contemporary kitchens, European-style appliances and exquisitely-tiled bathrooms. The entrance to the towers will be marked by a sleek, marble-accented lobby, where you’ll also find a piano lounge and a tea room. A grand, circular driveway makes for a red-carpet-worthy entrance. One of the most hotly-anticipated features will likely be the Seasons Mega Club, a facility of exclusive amenities. For the fitness and recreation enthusiast, there’s a full-sized basketball court, bowling lane, golf-putting green, tennis and badminton courts and a fitness centre. A sparkling indoor pool will be a perfect place to get some laps in before the day starts, or to relax in the clear waters after a long day. You’ll also find a whirlpool, sauna and hot stone massage room. For families, the Mega Club will feature a kids’ splash pool and playground area, while an outdoor terrace will boast space for alfresco dining and lounging. The buildings even share a touchless car wash, although the site’s easy access to public transit will likely have many residents forgoing vehicles altogether. Concord Park Place sits in the Bayview Village neighbourhood, which is a fantastic place to invest in. Young professionals will appreciate the proximity to Yonge and Sheppard, an urban employment destination in its own right, as well as easy access to transit, which can take you into Toronto’s Financial District in under 30 minutes. Families will love the abundance of parks, ravines, reputable schools and community facilities available to entertain the kids at any stage. Concord Adex has already shown us they’re capable of pulling off massive, master-planned successes in Toronto. Their wildly successful Concord CityPlace in downtown Toronto is often considered to have sparked the city’s massive condominium boom and the formerly under-utilized land is now a thriving urban community with a host of sleek towers, shops and restaurants. Concord Park Place will likely share similar qualities, with a greener, lusher vibe befitting its North York location. Concord-Adex is the builder behind Saisons which is Canada’s largest community builder and has residential buildings and master-planned communities across Toronto, Vancouver, Surrey, Calgary, North York, and even in London, England. With 30 years of experience in the real estate development industry has very heavy portfolio includes the Exchange Condos (Toronto), Omega on the Park (North York), The LakeFront and the LakeShore (both in Toronto), Tango and Tango2 (North York), Spectre (Toronto) and Canada House Condos.